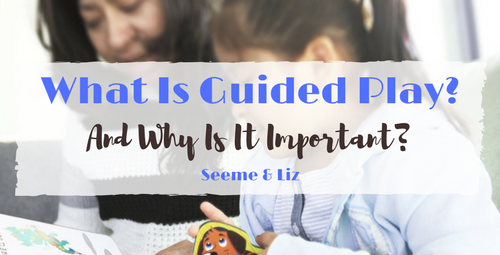 Seeme & Liz > General Parenting Tips > What Is Guided Play and Why Is It Important? You came here for an answer to your question “what is guided play?” but you will leave with a lot more than just a simple answer. But to quickly and concisely answer the question, guided play is when parents, caregivers and/or educators get involved in their child’s play to teach them new skills in an indirect and implicit way. Guided play is extremely important for children between the ages of 0 and 3. Children learn so much during these critical years and parents are their child’s best teachers! However, play does not come naturally to many adults, myself included. I learned the importance of play and how to play with young children as part of my education and training in becoming a Speech-Language Pathologist. Therefore, during many of my therapy sessions with young children it wasn’t a surprise to see parents ooh and aah over my “play techniques”. I was thrilled when I learned that a Speech-Language Pathologist named Frida, and her company Indy Talk Shop, had come up with a fabulous product to help parents engage in guided play with their young children. Frida is also the founder of Indy Speech Services based out of New York City. I had the honor of being able to ask Frida a few questions about her product, The Playbox. Here are my questions and Frida’s answers. 1. 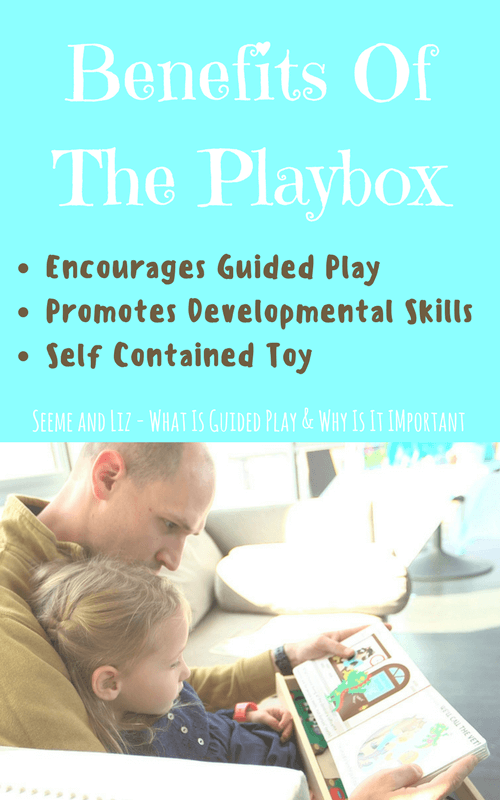 How Did You Come Up With The Playbox Idea? Back in 2012, when I was working as a full time pediatric speech-language pathologist at NYU Langone Medical Center, I started thinking about how I could use what I learned in my profession to make a product. That began my journey into a world of entrepreneurship. I started going to meet up groups for digital healthcare, joining an inventor club and taking a bunch of different courses ranging from marketing to financial spreadsheets and business-plan-making to learn how to make products in healthcare and insurance – stuff that made my head spin and I had no clue how to do! I even tried taking a computer programming course and drove my husband nuts because he ended up spending hours with me every night after work on my assignments! After all of that and some seriously long nights, I realized that I was trying to make a product in fields that I really had no idea about. So, I went back to the basics. I started really listening to what the parents of the children I work with had to say and watching how they interacted with their kids at home during playtime. It didn’t take long for me to realize that toys weren’t tying in research into their designs and parents weren’t being given the right tools – in the form of toys – to help their kids grow and learn. That’s how I started designing our Playbox. We love to connect with parents of little ones between the ages of 0-3 because we fundamentally believe that this time period is critical for brain development, bonding and overall growth. 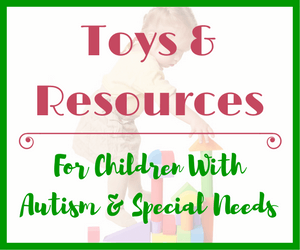 This is such a special time between parents and kids that we feel families deserve better designed toys to help them reach their child’s potential when playing with them. Our Playbox line is designed for toddlers and preschoolers, but our baby line will be designed for those early months into their first year to help guide better interactive play with infants. 3. What Are The Benefits Of Using A Playbox As Opposed To Regular Toys? The Playbox is designed based off the outcomes in child development research. This research has shown that if parents gently guide how kids play by asking them questions, emphasizing important words and conversing with kids, kids learn more abstract skills, develop better bonds and even increase their IQ scores. Our story is designed to engage parents and their kids in this type of guided play routine that researchers have said is great for their development. In our first Playbox launching in late February 2017 called Indy and the Farm, we have paired an original story and matching farm animal puzzle set. As parents read the story, they are prompted to emphasize certain words, sounds and vocabulary as well as ask questions and pose simple problems with the puzzle. This type of interaction promotes a reading-while-playing experience that is all about guided play to improve communication and cognitive skills. By the end of the interaction, kids have not only practiced their language skills, but also become more flexible mentally and exercised their problem-solving muscles! Since I am a pediatric speech-language therapist, I have taken research from my area of study as well as my clinical experience to hand-pick the words, sounds and vocabulary that are critical for toddlers and preschoolers to learn. I was also very careful to pick the nature of the story, the puzzle and methodically considered the type of interaction that the experience could create between parents and kids. 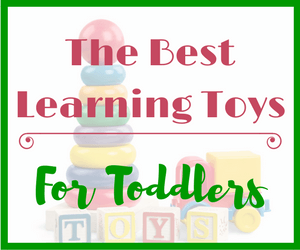 I wanted there to be lessons available for the child just as there are for the parent in terms of what guided play looks like and how to do it so that parents could try it with other toys too! 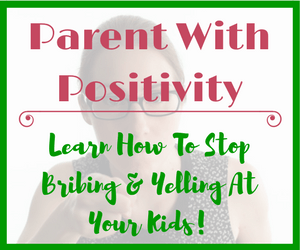 As parents, I think it is pretty easy to get bogged down with what exactly to teach our kids and when. This helps narrow that down a bit so that you can focus on the developmental skills that are most salient and important to practice while playing. Our Playbox comes in a wooden box that stores the story with the matching toy. This design allows for ease of storage in any bookshelf! We will also be adding other features, like a handle or straps to the box, to help kiddos transport their Playboxes from place to place without hassle. 4a. Do You Feel Parents Can Get Too Carried Away Providing Guided Play Activities? 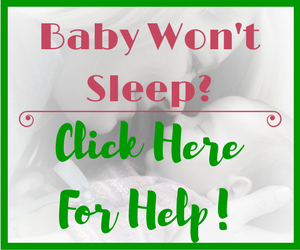 I think that as parents, we try to search for good solutions to help us focus the time that we have with our kids. But, sometimes good marketing from big companies moves us in the wrong direction. For example, new research has shown that apps on devices that move from image to image too quickly, can actually be hurting our kids’ attention spans. Many parents wonder whether or not using technology is good for their little one’s development, but the answer is not so simple as a “yes” or a “no”, but it is more about the quality and quantity of what is being used. Also, the toys that are being called “interactive” right now are along the same vein. These are the toys that repeatedly play music, sounds and flash lights. If you take a close look at what happens when a child and parent play with one of these toys, you realize that they stop talking to each other because they are listening to the toy instead. The toy doesn’t give the child a chance to respond verbally. That may also be hurting our kids’ development. On the other end of the spectrum, kids have very overbooked schedules and don’t have any time to just be – or, be bored! Being bored offers great opportunities for imagination to strike and creativity to thrive. This is when kids come up with interesting new games, role-playing scenarios and all kinds of imaginary play schemas that help them really take off developmentally! All in all, I think it is about creating a sense of balance and harmony between offering kids opportunities for guided play while also giving them their time to have fun and play freely too. Finding a balance to anything can be difficult. My suggestion to families would be to observe your kids more. When I sit back and observe what a child is telling me, whether they are talking or telling me non-verbally with their gestures and body language, I am able to easily gauge what they are interested in doing at that moment. Sometimes, kids really want you to just watch them play on their own when they are engaging in free play. Other times, they are vying for your participation. That is because they inherently know that you can teach them amazing new things. It is during these moments that guided play really manifests beautifully between parents and their kids because it is natural, fun and carefree. So my suggestion would be to really watch them and to follow their lead. 5. Do You Believe Children Need A Mix Of Guided Play and Free (Unstructured) Play? Absolutely! Children need to learn to how to manage their world on their own at times and at other times, be guided on how to do so. They learn how to do that through a combination of guided play and unstructured play. Both are not only great, but crucial to a child’s healthy development. As children get older the need for guided play lessens because most children have already learned many valuable skills and can put those skills into practice through child directed free play! So don’t worry about constantly “planning” activities for your children as they get older. But in the early years a good amount of guided play is extremely important and a toy such as a Playbox will be beneficial to both you and your child. The first Playbox is called “Indy and The Farm” and contains a carefully thought out, age appropriate book along with a coordinating puzzle. You will also receive instructions to get the most out of your Playbox. 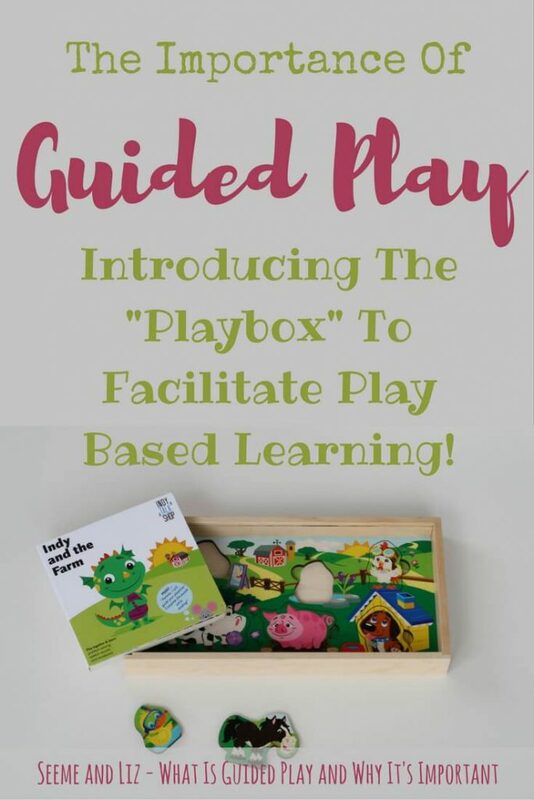 Make sure you take a look and learn more about the Playbox! The word ‘guided’ just means led or taught which is completely the opposite of ‘play’ which, by definition, is free, open-ended, agendaless, serendipitous, unadulterated, intrinsic, etc. So, ‘guided play’ isn’t really play … it is teaching by another name. Thanks for your comment Marc. In the Speech and Language community we refer to a parent interacting with their young child (typically 3 years of age and under) as “guided play”. Young children need interaction with their parents and caregivers in order to learn new skills. As they get older they continue to learn and refine their skills via unstructured child led play as well. If a child is playing with blocks and a parent joins in and makes comments and builds with the child, this is what I would refer to as guided play. It really does come down to semantics in the end. I think you might also be interested in my article discussing the differences between learning through play and play based learning. Guided play is similar to play based learning. In the play community, we refer to as adulteration. This is where adults engage in a child’s play with their own agenda and not with the child at the centre of what they do. So an adult joining a child to comment on and build with that child is controlling the content and intent of the child’s play. As Marc points out above this is not play, this is teaching. Yes it may be semantics, however I am sure, were we to appropriate language from your profession and use it incorrectly in our own then you would perhaps want to correct our mistake. Thanks for your comment Libby. I completely understand what you are saying. It doesn’t matter what words we use to define this kind of interaction. In the end, this is necessary for children to learn new skills. This is how we train parents to interact with their young children. Especially those with speech-language delays or children at risk for delays. The examples in your source were with regards to children over the age of 6. When we talk about guided play we are usually referring to children under the ages of 3-4. I am not sure if you have heard of The Hanen Centre, but they have a lot of wonderful articles about the importance of these types of interactions with regards to a child’s speech and language development. Hi Tanya. Can you site the evidence that explains unoquivocaly that parent/ career guidance is necessary for children to learn new skills? There is plenty of scientific evidence from Piaget to Donaldson to Garvey to Sutton-Smith that would challenge that rather sweeping assumption. There is plenty of evidence supporting the need of parent involvement in order for children to learn. There are supporting links within the article. Also, please read the comments provided by Frida (who I interviewed for this article). I’m tempted to disagree that it does ‘not matter’ about what words we use to describe this form of behaviour. In our experience, the word ‘play’ suffers when it becomes combined with other agendas (such as therapy and learning for example) and, more significantly, the very thing that makes playing such a powerful expression for humans becomes lost in the search for a positive outcome. It is similar to using the phrase ‘purposeful play’ (another one play professionals get heated about!). The semantics expressed around the word play define how we use that word and how we see playing. By emphasising the lack of an agenda when children play what we are doing is acknowledging that play does many things: we learn when playing, we heal while playing, but we also grow, become social, think, relax, imagine and a whole host of other beneficial things – yet none of those is what play is ‘for’ – these outcomes are incidental to the independence involved in the act. It is the loss of that independence that stops it being play. Thanks again for sharing your insights Marc. I took a look at your website and I appreciate what you are doing for children and their development. In the end I believe we both want what is best for children. Frida and I are showing parents how to follow their child’s lead (again, this article is for parents who have children under the age of 3) and engage with their child for the purposes of language development. If a 2 year old is playing in the sandbox covering a car with sand to bury it the parent has two options. One would be to do nothing and the other would be to sit with their child and join in. When they join in it is natural to talk and make comments. This is how the 2 year old will learn new vocabulary and hear proper sentences. Going forward, it is probably best for us to agree to disagree or we will be going back and forth forever. I wish you all the best and continue doing what you are doing! I read the Colorado Paper- Thank you for sharing. I agree, adults engage in a lot of adulteration and I often think or witness moments where you want to see kids figure it out themselves, but the terms here are being ill defined. Guided play isn’t about setting your own agenda. Quite the opposite. It’s about child-directed play. It’s about letting the child lead and narrating their actions, adding more language to their responses and coming up with open-ended questions to provoke more thought when we are invited to do so or when it appears the child would benefit from this type of interaction. 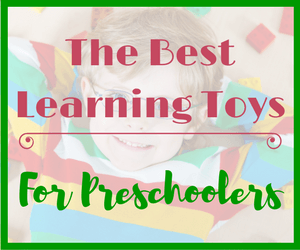 It facilitates and builds on communication, cognitive and social skills. Guided play actually sounds very similar to the cues that the “Playworkers” provide via “medial involvement” as described in the Colorado paper where the playworker becomes a resource during play. That’s what guided play is. There is a ton of research out there by Dr. Dimitri Christakis, who is world renowned about this topic, and many, many other brilliant minds in the fields of pediatrics, psychology, social work and speech pathology. Check him out as a starting point, he’s a pretty amazing and well-respected physician that I am sure will be interesting to read about. Thanks for your comment. This is Frida who Tanya interviewed for the article. 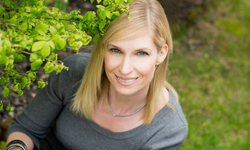 I am a pediatric Speech-Language Pathologist at Bellevue Hospital Center in NYC and founder of the private practice Indy Speech Services. The term guided play wasn’t created by me or by Tanya, but it is a term that child development specialists have come up with to describe gentle comments/suggestions/questions given by an adult to a child or even a group of children that can very well be open-ended to offer alternate ways of play, imaginative scenarios or even peer-to-peer interactions that a child may not otherwise naturally attempt on their own. Guided play has had overwhelming support across psychological, pediatric and therapeutic fields because it has proven that if a child has too much structure, they get hindered, but if a child has no structure at all, they don’t learn or understand concepts as quickly or even as well as they could otherwise. That’s not to say that a child should never have open-ended play too. But the idea here is that guided play can be expansive as far as what a child learns and understands vs prohibitive. As the adults in the room, it is up to us to better understand when children could benefit from that guidance and when they don’t need it. It is up to us to figure out how to manage that dance, but understand that the implications of guided play can only be positive for children’s development. Hello Frida, thanks for your reply. Might I start by suggesting that far from the Colorado paper and the Play Cycle proposing any significant connection with ‘guiding’ children in any way at all would be to misread it – the question of ‘play cues’ is, for example, removed from the idea of ‘guidance’ and I think this is the issue that the play professionals that have responded here are trying to make. Our profession would see that ‘therapeutic approaches’ might at times be playful yet they are not ‘play’; similarly, ‘pedagogic approaches’ may be playful yet not ‘play’ either. The reasons for this are numerous but not least is the involvement of an adult who has an agenda (adulteration). That the adult may or may not guide/suggest/provoke while the child is playing is only one element that would lead us to define this as ‘not play’; more significant is the question of whether the child would be involved in this if there were not an alternative agenda. In other words, if a child is in a therapeutic session which has the objective of providing therapy in a playful way then we are not going to see that as play – still valid, still important, but intent is what makes it play or not. What an interesting post! Guided play is not something we thought much about back in the day when my kids were little…they are now young adults and a teenager. I think it is an amazing concept. These days parents have little time to spend playing with their kids and mostly they would not know where to begin. This will be a huge help. Something to remember when I have grandchildren…but not too soon! You are clearly an expert in your field. Thank you for your informative website! Thanks for your comment Natalie. Guided play is how children learn best between the ages of 0 and 3. After that, children need to be given space and time to learn and explore on their own! You are right, families are so busy nowadays that little thought is put into playing with a young child. Many children go to daycare full time before their first birthday. Hopefully the daycare providers out there are reading this information as well!